Goji Haze Feminised is a 75% sativa marijuana strain with Strawberry Skunk and Jack Light ancestry. 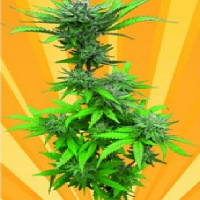 Goji Haze Feminized Cannabis Seeds by Sumo Seeds: Goji Haze Feminised is a 75% sativa marijuana strain with Strawberry Skunk and Jack Light ancestry. Goji Haze produces the familiar fruity, citrus flavour with a marked note of sharp goji berries. It also gives the strong, psycho-active sativa high that is full of get-up-and-go energy. It is not suitable to grow outdoors in northern Europe. Plants grown indoors often reach up to 120cm in height producing between 300 - 550gr/m2 of dried buds in 9 - 10 weeks of flowering. Outdoors this longer florescence means that it will be October before plants can be harvested in the northern hemisphere (March in the south) and yields are a very encouraging 500 - 1000gr from plants that grow to 150 - 190cm tall. THC production is very high with low CBD. 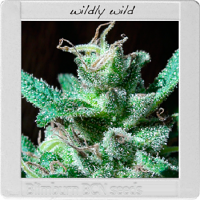 The result is the superb energetic high that sativa lovers find so appealing.